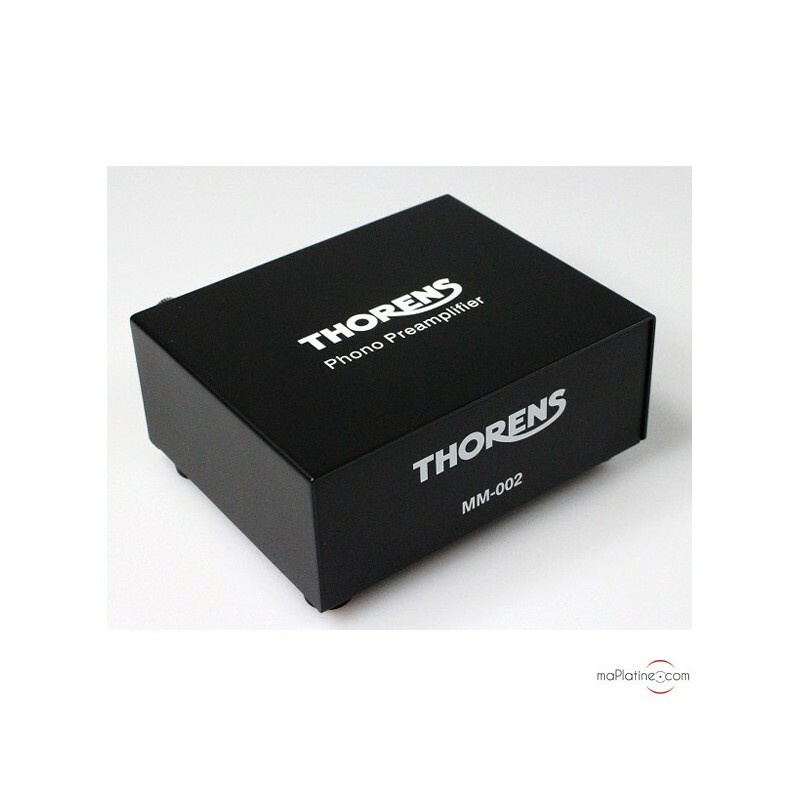 This new addition to the Thorens family is designed for use with the manufacturer’s newest turntables (TD 206 and TD 209). As such, it seems to be replacing the small MM-001 in this range. 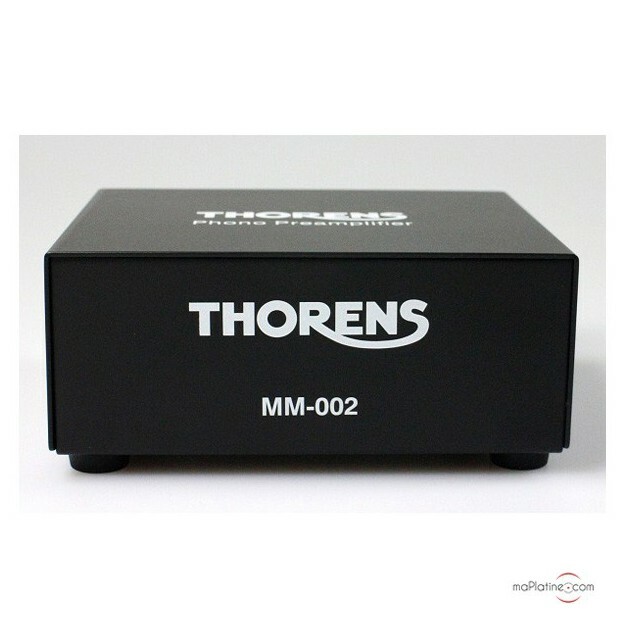 Like its predecessor, the MM-002 is only compatible with MM cartridges (moving magnet), which means that it does not have a selector switch - apart from the brand logo, its front panel is completely plain! On the back are the conventional RCA inputs and outputs. 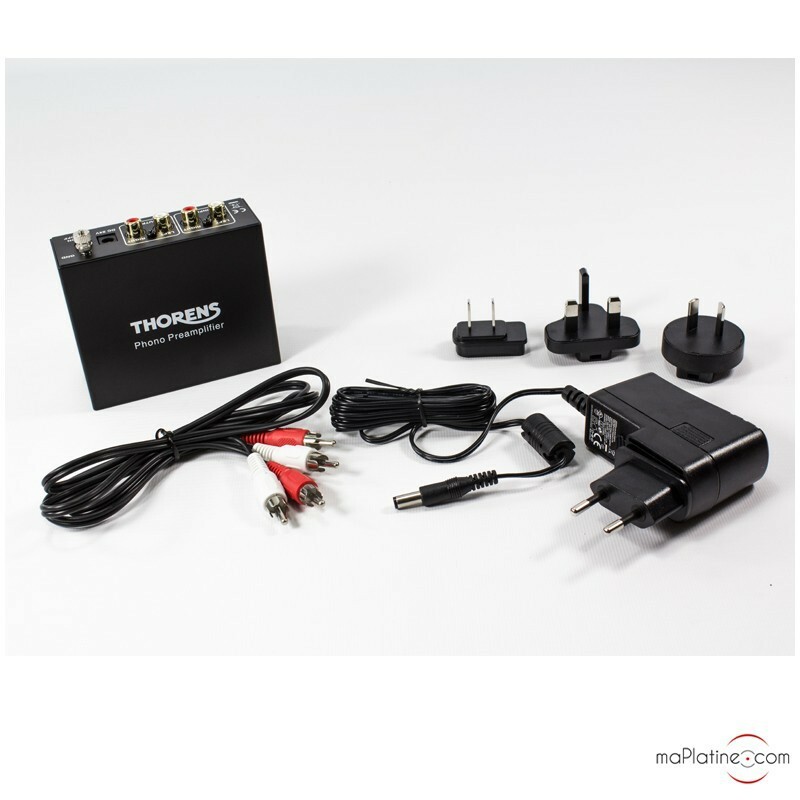 They are of a high quality (gold-plated) and are joined by a decent-sized ground plug. There is also an On/Off switch and a power outlet. These are all encased in an anti-magnetic metal box, which provides excellent shielding. 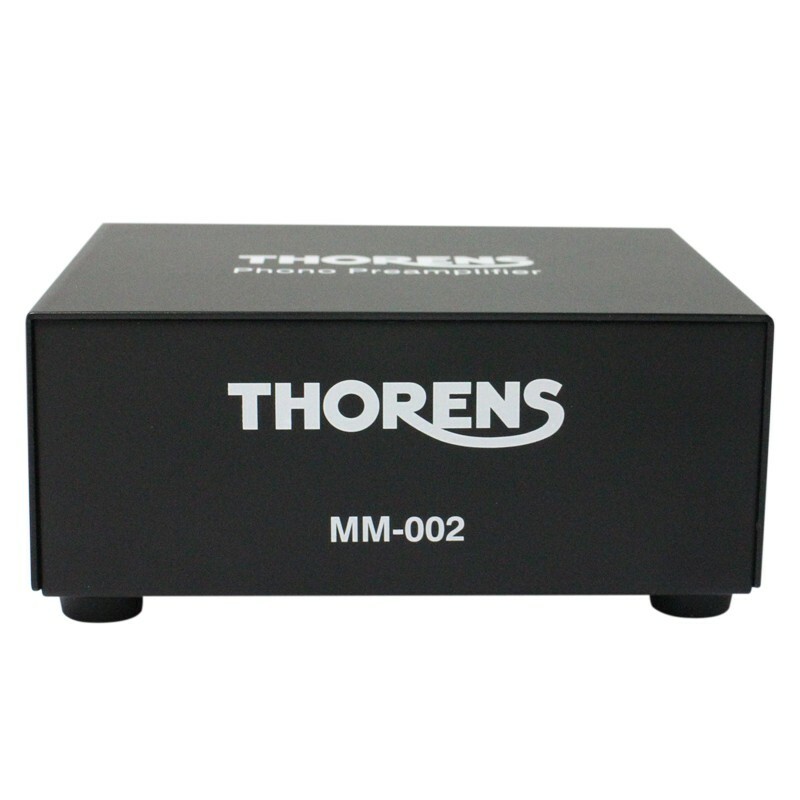 Unlike earlier models, the MM-002 has a 24V DC external power supply, a feature which is becoming more and more widespread for environmental and economic reasons. 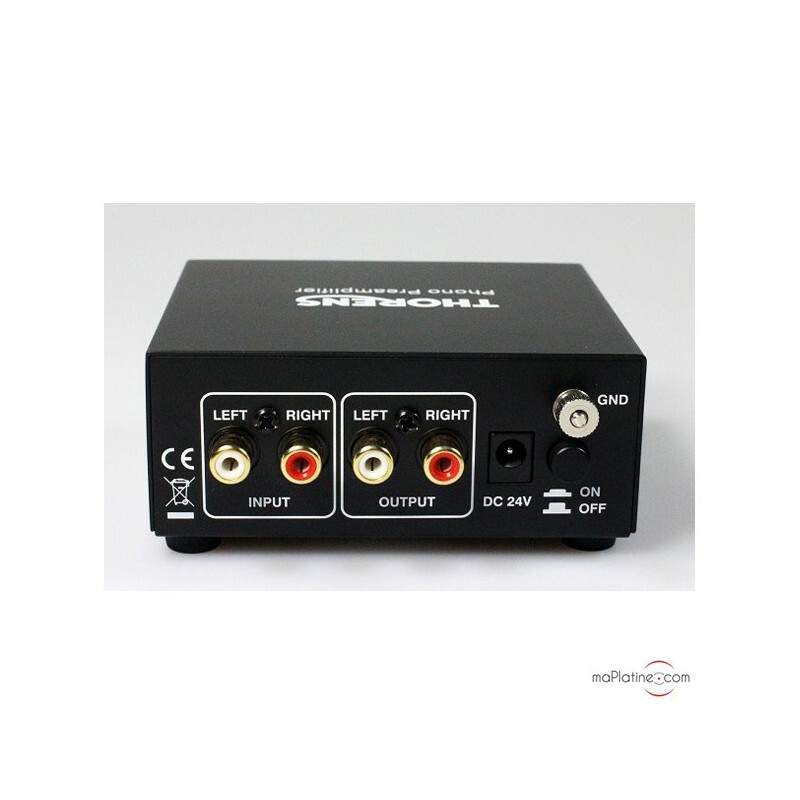 You will need an interconnect to connect the preamp to your amplifier. We recommend that you do not turn it off for at least the first 48 hours. After this break-in period, it will deliver the same characteristics and musicality as the MM-005 (in MM position). It’s hard to believe that it's the same technology, just without the MC function! Playback is precise and dynamic, without a hint of harshness. The sound quality is very analogue, with a full and precise sound stage. 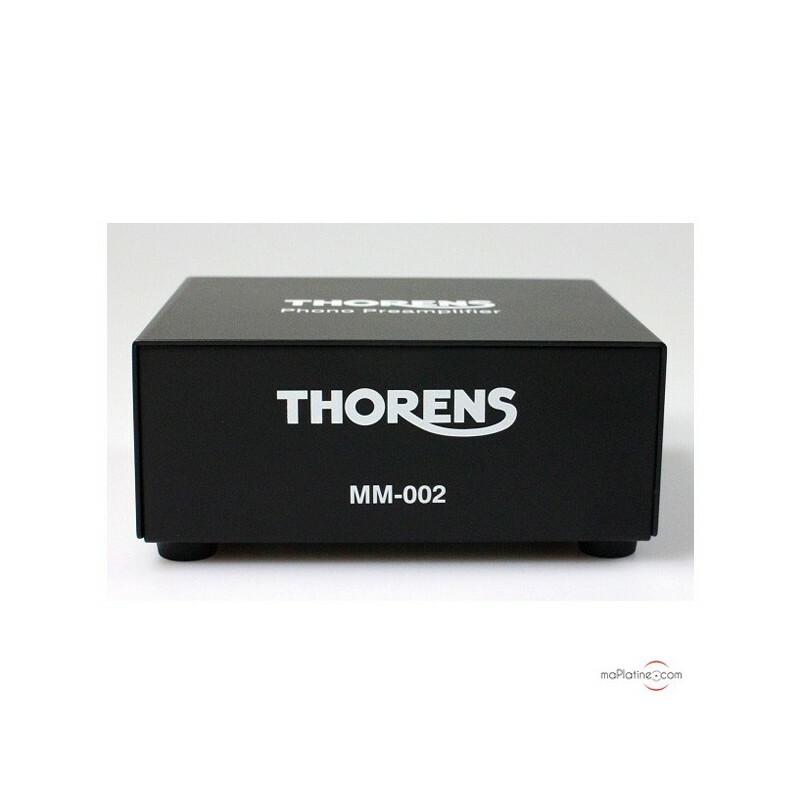 Of course it can't do everything, but at this price, if you're looking for a quality MM preamp for a cartridge that doesn't cost more than €300, the Thorens MM-002 is a great option and a sound investment.